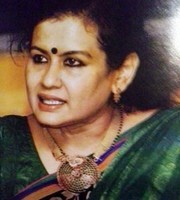 Vinita Deshmukh is a senior journalist of 28 years vintage and a noted Right To Information (RTI) columnist and activist. Presently, she is the Consulting Editor of the business fortnightly magazine, Corporate Citizen (www.corporatecitizen.in). She is also the Consulting Editor of Moneylife(www.moneylife.in), the financial news e-magazine, where she writes her weekly RTI column. She was a former Senior Editor of The Indian Express, Pune, where she served for almost two decades. She is the co­author of the renowned book To the Last Bullet authored by Vinita Kamte, after her husband, Additional Commissioner of Police, Ashok Kamte, was killed in action in the 26/11 Mumbai terror attack. Vinita Deshmukh's second book, The Mighty Fall based on her investigations of the then President Pratibha Patil's post-retirement home scam and Dow Chemicals which was setting up its manufacturing unit in Pune under the garb of a research centre, has also been well received. She has won several prestigious awards in journalism like the Chameli Devi Jain Award, the Laadli Media Award and The Statesman Rural Reporting Award. 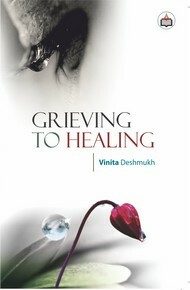 This book, Grieving to Healing is an inward journey of her personal loss, which she effuses through poetry and prose, not only as a way of catharsis but with a hope that it will help people deal with a similar loss.